those times are no more. This haiku is a contribution to Ronovan’s Haiku Challenge #233. 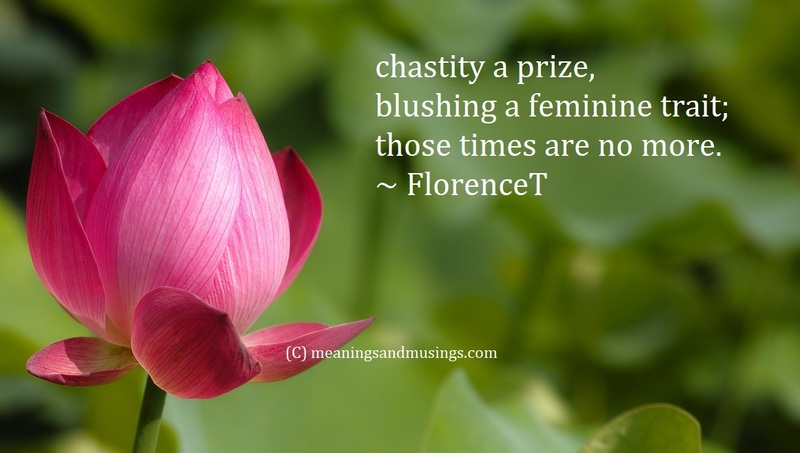 This week’s prompt words are blush and chaste.